You’re a little kid on Christmas morning. You wake up at 2:30AM, go down the stairs without touching a single step, and wake your parents in the most irritating way imaginable. Once they’ve finally resurrected you all gather around the tree to unwrap presents. You’re doing well so far -- you’ve gotten nearly everything you realized you couldn’t live without after learning about them from TV commercials you’d seen last week. But your next present is from your Aunt Ursula. It’s relatively light and doesn’t feel right when you shake it. Oh no. 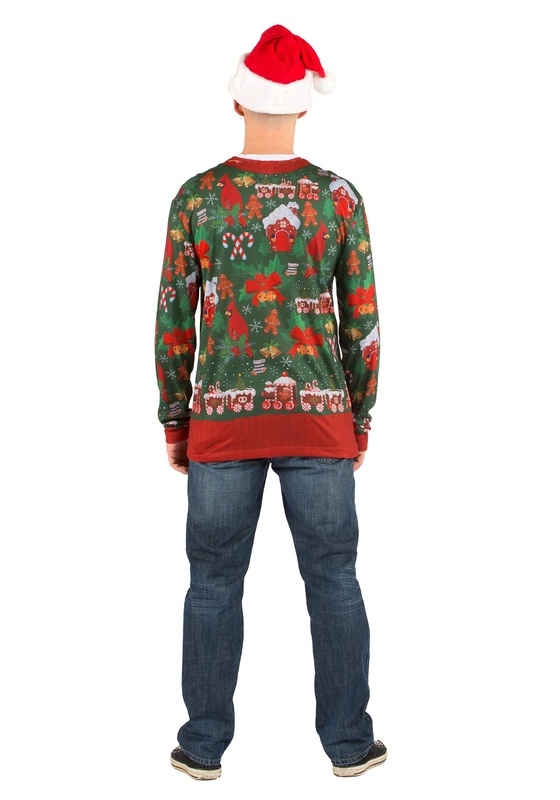 But now that you’re older, you appreciate the tradition of the ugly Christmas sweater. 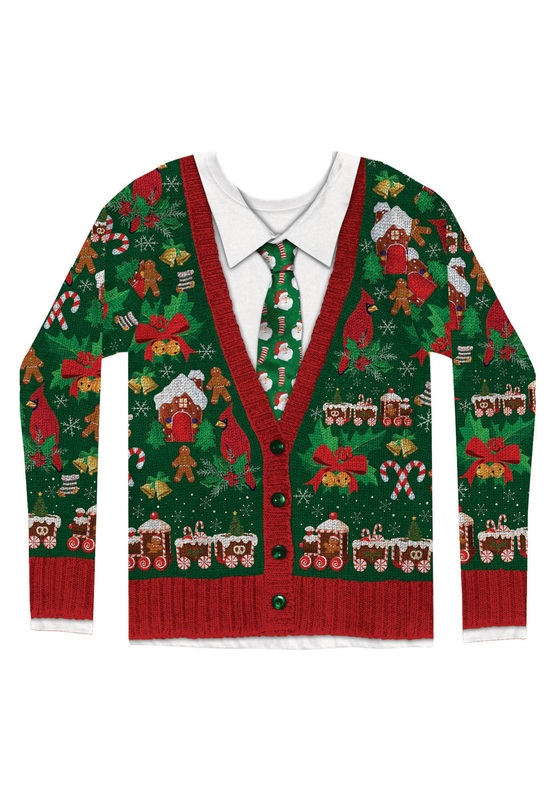 Aunt Ursula has switched her hobby from knitting to cat husbandry, so you’re on your own when it comes to sourcing your next hideous sweater fix. 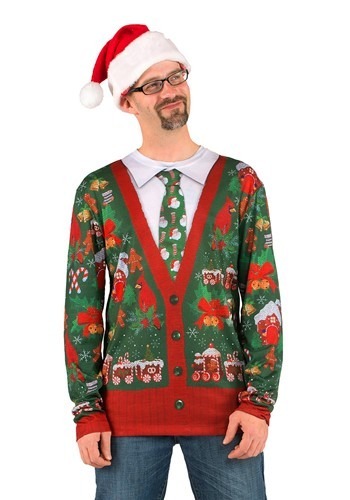 So try ours, which is made from polyester rather than wool, so wearing it is pleasant and cozy rather than what feels like mortification of the flesh. 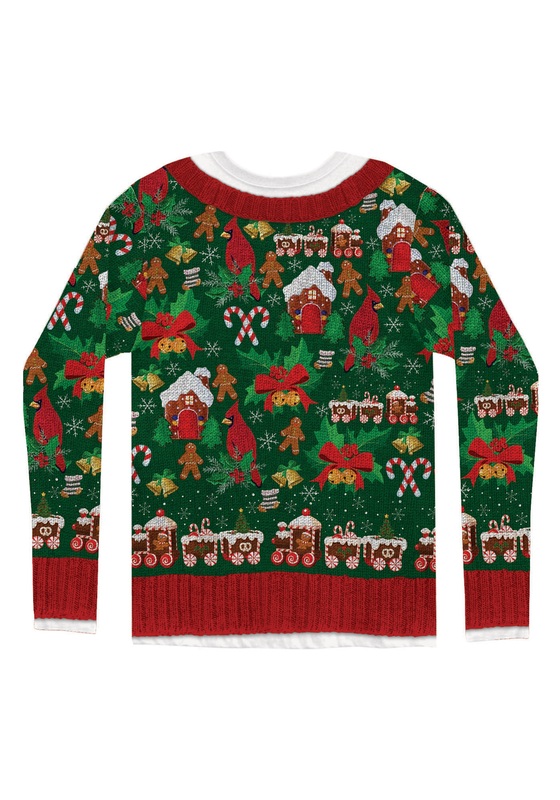 The garish multitude of birds, gingerbreads, and trains are sure to affront even the most nonchalant onlookers, and the long sleeves will keep your arms warm. Joyeux Noël!